Most people associate crossfit with brutal and gruelling workouts, too hard or not appropriate for ordinary humans. What they see and know are the “Greek-gods-like” CrossFit Games athletes, and the YouTube videos of them performing movements only a minority of people can tackle on. The extreme always creates the strongest impression; the CrossFit Games are the strongest advertisement for the training regime which also promotes itself as “forging elite fitness”. But behind that spotlight, there is an enormous community of ordinary people, of all ages and all levels, who have one common goal: get healthier. 1 What should be your reason to start doing crossfit? 1.1 Tip #1.- The box and its community will be your second home. 1.2 Tip #2.- Crossfit will make you feel happy. 1.3 Tip #3.- You’ll have friends all over the world. 1.4 Tip #4.- You will feel like an athlete. 1.5 Tip #5.- You will also look better (naked). 1.6 Tip #6.- Movements can be scaled and made achievable for everyone. 1.7 Tip #7.- You will feel proud of yourself. 1.8 Tip #8.- You will change your lifestyle (for the better). 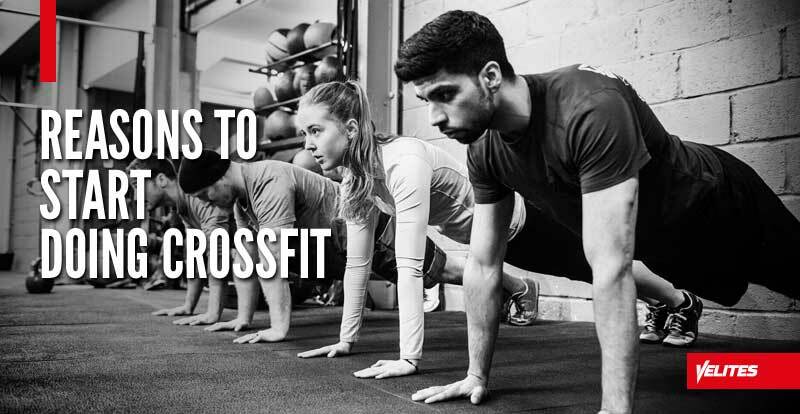 What should be your reason to start doing crossfit? If you are still hesitating with starting the most popular fitness trend of the past decade, here are a few good reasons to make a decision easier and give crossfit a try. Tip #1.- The box and its community will be your second home. Ask any crossfitter about their favourite reason and the most common answer, to keep coming back to the box, will be the community. Crossfit box will literally become your second home due to the support and empathy its community nurtures. 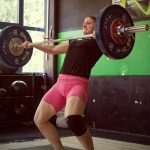 Of course it depends on the box and the owners/guys running the place, but a friendly attitude and team spirit are at the top of the crossfit’s values. They are also the strongest attributes that makes the programme so popular. Tip #2.- Crossfit will make you feel happy. Exercise, well physical activity in general, does not only make you fitter and healthier, but literally makes you happier. The secret to happiness are the chemicals, named endorphins, which are being released during exercising. To get a bit nerdy, endorphins are endogenous opioid neuropeptides, produced by the central nervous system and the pituitary gland. Besides their main function of easing up the feeling of pain, endorphins are also being held responsible for the sense of euphoria. You know “the crossfit high”? That good feeling after a workout where all worries fade away and you feel like you could conquer the world? That. Tip #3.- You’ll have friends all over the world. Wherever you travel, there’s always at least one box, and one community, nearby. Just walking over a street in a foreign country, of course wearing a crossfit gear, might get you new friendships. That’s where the label “a cult” comes from. Though often used in a negative tone, the so called cult is actually the worldwide community the brand has built over the years. Tip #4.- You will feel like an athlete. At your first you’ll might hesitate a bit, and ask yourself if this was a good decision, but after a few weeks, or just a few trainings, you will begin to feel like you were made to do a lot more than just a nine to five sedentary job, and a short daily walk with your dog. Crossfit’s success lies on its focus on performance rather than the outlook. Similar to professional sports, even the beginners will set performance goals and strive daily to achieve them. Step by step, improvement will happen, especially at the beginning, and this will be one of the main driving forces for people to stick to the programme. It will feel effective and due to its diversity, there will always something new to improve; another exercise or WOD to PR. Tip #5.- You will also look better (naked). When you feel better, you naturally also look better as you simply act and move more confidently. You hold your head up and shoulders back, you smile more often and act kinder, and all due to the sense that your body functions better. But being consistent with crossfit also teaches you to put more attention to your eating plan. You automatically start eating smarter with a goal of having a better performance. Both, better eating choices and exercise make your body to change: decrease the amount of body fat and increate the muscle mass. Most crossfitter will tell they notice the outlook changes (for the better). Many, or actually a lot of them, will show you the images of their transformation where they made a journey from obese to athletic. Not that we support eating sugary stuff, but even if you will, the intensity of workouts will help you manage the sugar effect a bit better. That shouldn’t be one of the reasons to start doing crossfit though. Tip #6.- Movements can be scaled and made achievable for everyone. Every training, every WOD and every exercise can be scaled. Which means if you feel a certain movement is too demanding, the coaches will adjust it in a way, you will be able to perform it? Pull up will be turned to a ring row, push up into a wall-supported version of it, squats will be performed with a help of a box or a rig, etc. Crossfit also has a division of adaptive athletes which make you keep your mind clear of excuses whether you can or can’t do something. Tip #7.- You will feel proud of yourself. We all started as beginners with a help of PVC pipes and elastic bands. But eventually, with being consistent, we worked up to our first strict pull ups, muscle ups, technically perfect snatches… You will surprise yourself of what everything you can achieve if you put your mind into it, and stick to a plan for a longer period of time. Tip #8.- You will change your lifestyle (for the better). It’s funny how a three-times a week visit to a box can change your lifestyle. But it can; actually it can totally shake up your everyday. You will start using a bike, or your legs, as the daily transport to work place. You’ll drop sugar out of your meals. You will grocery shop at markets with fresh produce. You’ll be the local butcher’s best client. You will order water instead of alcohol drinks, and you will spend more Friday nights in, rolling on your foal roller rather than in the bar partying. Your wardrobe will change; gym clothes will occupy majority of it. Your kids will ask you join your crossfit classes. Maybe you’ll even build a home gym, and if not, you’ll definitely make a recovery corner in your living room. Along the PRs, results, body changes, new friendships and new knowledge, you will experience a high dose of fun, and this will be one of the main reasons to start doing crossfit. Most experienced crossfitters, and even elite athletes, will tell you that the number one reason they keep doing it, is because it’s simply so much fun and they can’t imagine their life without it.